Welcome to October! We’ve had a few random days in the 80s here, but I think we should be finally settling into fall soon. And I am ready! After a long Midwestern winter, I am always giddy at the first sign of spring. And I enjoy the abundance of sun, outdoor time, and fresh garden food that comes with summer. But there’s just something so incredibly cozy about fall. And after months of trying to shed as many layers as possible without being indecent, I’m always ready for weather that calls for curling up with my favorite comfy cozy things. And in today’s post, I am going to share all those things with you! 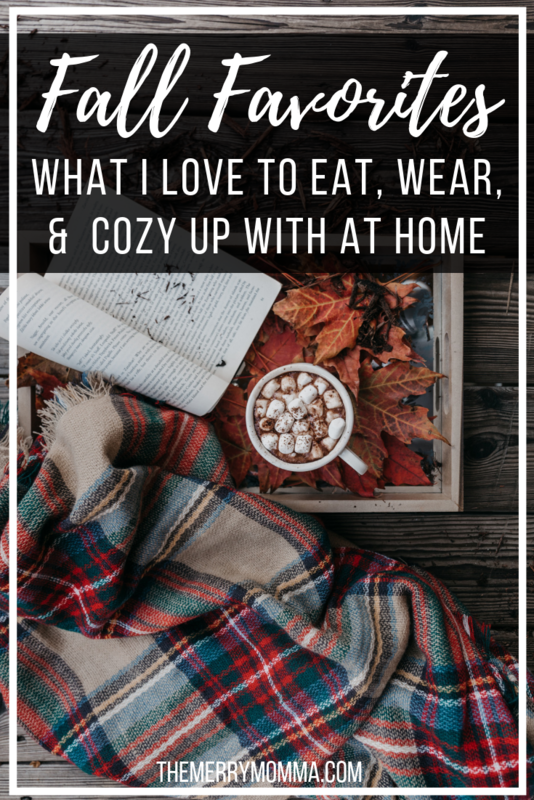 Here is a list of all my top fall favorites, from what I like to eat to what I like to wear to what I like to use to fill my house with the comfort of fall. Enjoy, and don’t forget to add some of your favorites in the comments below! I’m not ashamed to admit I wholeheartedly jump on the pumpkin spice bandwagon at the earliest sign of fall. And I will try pumpkin spice flavored just about anything. My favorite supplier of PS products is definitely ALDI. You would be amazed at the number of things you can find there, and the prices make them even better. Some of my personal favorites (and no, they’re not the healthiest indulgences, but hey — they’re once-a-year treats!) are pumpkin spice cream cheese (I was skeptical, but it’s good! ), pumpkin spice coffee creamer, and pumpkin spice covered pretzels. 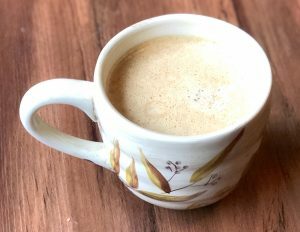 As a daily habit, I usually drink my coffee black and made at home. But every once in a while, it’s fun to splurge (both monetarily and calorically) on a delicious latte. And never am I more in the food for these indulgences than in the fall. Of course, having someone else make them for you is super nice, but the cost can quickly add up. Plus, you don’t have as much control over the ingredients. See more from Live Simply, one of my favorite real food and natural living blogs! A year ago, I would have never thought to include tea in a list of favorites. I really only drank it when I was sick. Slowly but surely, however, I’m finding brands that have transformed me into a tea-drinkin’ girl after all. 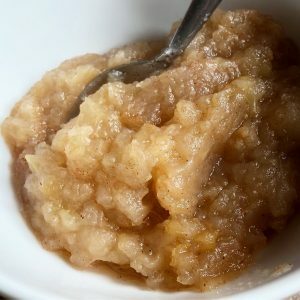 I love making a variety of apple things in the fall, but homemade applesauce is my favorite, and it’s become a tradition. If I make nothing else, I will absolutely make this applesauce every single fall. Why? Because it’s so stinkin’ easy! And I love easy! Plus, it’s made purely from apples (and a little cinnamon), so I can feel completely at ease about eating AND serving it in copious amounts. I may be team apple, but I am also 100% team pumpkin. This is one case where you can absolutely be loyal to both sides. 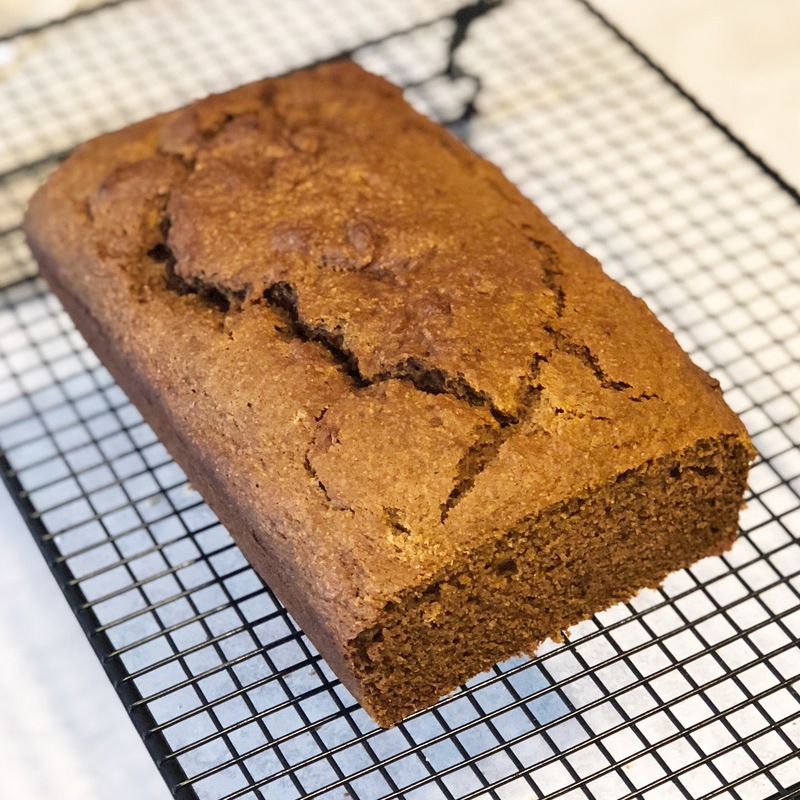 And once fall hits, I am all about the pumpkin breads. Pumpkin bread, pumpkin muffins, even pumpkin waffles. It’s all a must in the fall. 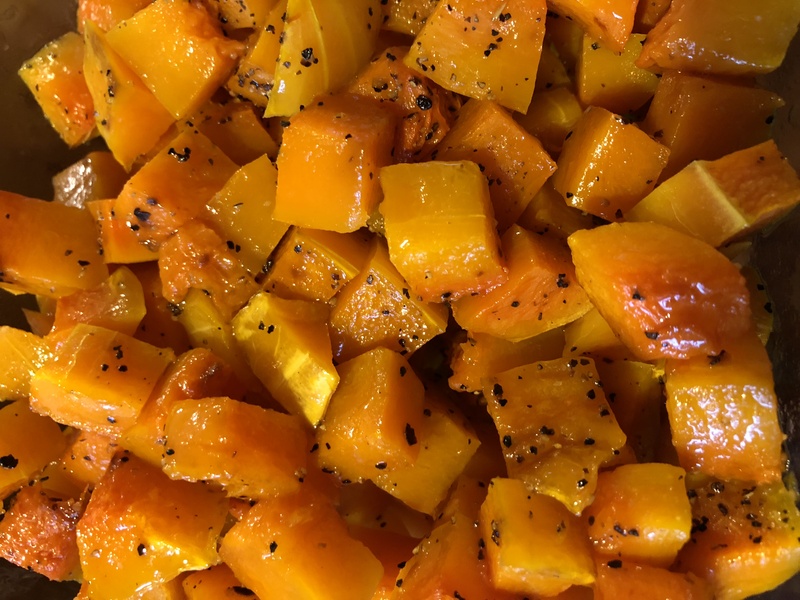 Another food that I start to crave once the weather begins to cool is butternut squash. Which is funny since, until a couple of years ago, I hadn’t ever even tried it. I knew I didn’t like acorn squash. I tried it even as an adult and still couldn’t do it. So I guess I assumed butternut squash would taste the same. As I’m sure you all already know… it doesn’t. Not even close. And once I finally tried it, I learned I love it! Rounding out my favorite foods list is soup. Not a specific kind of soup, really, just soup in general. Because nothing says warm and comforting on a chilly fall night like a bowl of delicious soup. I use my slow cooker throughout the year. But my usage goes up considerably in the fall and winter months. Maybe it’s because I try to avoid hot meals, in general, during the summer since my husband works outside. But I don’t know, there’s just something about the cooler weather that puts me more in the mood for a slow-cooked meal. Am I the only one?? Maybe it’s just me — that’s okay — but here are some of my favorite things to make in my slow cooker. Just in case you feel the same way. Now it’s time for all my favorite things to wear in the fall. And, of course, I have to start with boots. I think that’s pretty much a given. I love my tall boots. I have for years. But this year, I decided to be brave and try booties, too. I actually firmly resisted the booties trend when it first came onto the scene. I didn’t think I could pull them off. But my desire for cute footwear that was somewhere between tall boots and flats, could be dressed up or down, and would be cute yet comfortable led me to get out of my comfort zone this year. Plus, I saw enough similarly *ahem* vertically-challenged women pull them off that I thought perhaps I could too, after all. And I love them! I never thought I would say this, but I am now a big booties fan. Except on very rare occasions, I don’t wear heels, so it was difficult to find ones I liked with 1″ heel or less. But I did find a black pair and a taupe pair that I love for very reasonable prices. Another trend that I NEVER thought I would try is blanket scarves. They look so cute on certain women, but I can’t get them to work on me. I’m not a very big girl, and all that material buries me alive. It’s pretty ridiculous, really. Like a little girl trying on her mommy’s clothes. But I got one recently just to wear around the house — more like a shawl than a scarf — and now I’m hooked. It’s great for when I’m a little chilly in the house (which is pretty much always) but don’t want to wear bulky sweaters or sweatshirts all the time. Or to run outside for a quick minute, such as at school drop-offs and pick-ups. It’s even great to throw in my purse for when I’m sitting in church, at a restaurant, or any other place I might feel a chill. Maybe it’s because people have likened my husband to a lumberjack and I just want to fit in, but I am starting to accumulate quite a collection of plaid flannel shirts. I love them, and fall totally puts me in the mood to wear them. And of course, what’s a plaid flannel shirt without a vest?? Finally, let’s talk about my favorite ways to make my home cozy in the fall. Starting with my favorite fall candles. I’ve been a big candle fan for a long time, but in recent years, I’ve become a bit pickier about what I burn. I now almost exclusively stick to soy candles for two reasons: they burn cleaner and they last longer. I’m a big fan of the Grove Collaborative soy candles. Not only do they smell amaaaazing, but they last a long time! Plus, I trust that all Grove products are made from quality natural ingredients. However, I’ve also fallen in love with the soy candles from Marcish Market. These candles are handmade by a dear woman I’ve known for most of my life. She is one of the sweetest, loveliest people you could ever meet, and she runs her new company with passion, care, and integrity. I’ve gotten several candles from Marcish Market now, but this fall I bought two of her newest: Pumpkin Chai (of course!) and Fallen Leaves. Without being able to smell them first, I knew I was going to like the pumpkin chai, but the fallen leaves was a leap of faith. And I am smitten! It wasn’t an obvious winner when I smelled it in the jar, but oh my goodness if it doesn’t fill my house with the most wonderful scent of fall! It’s perfect for a cozy fall day. 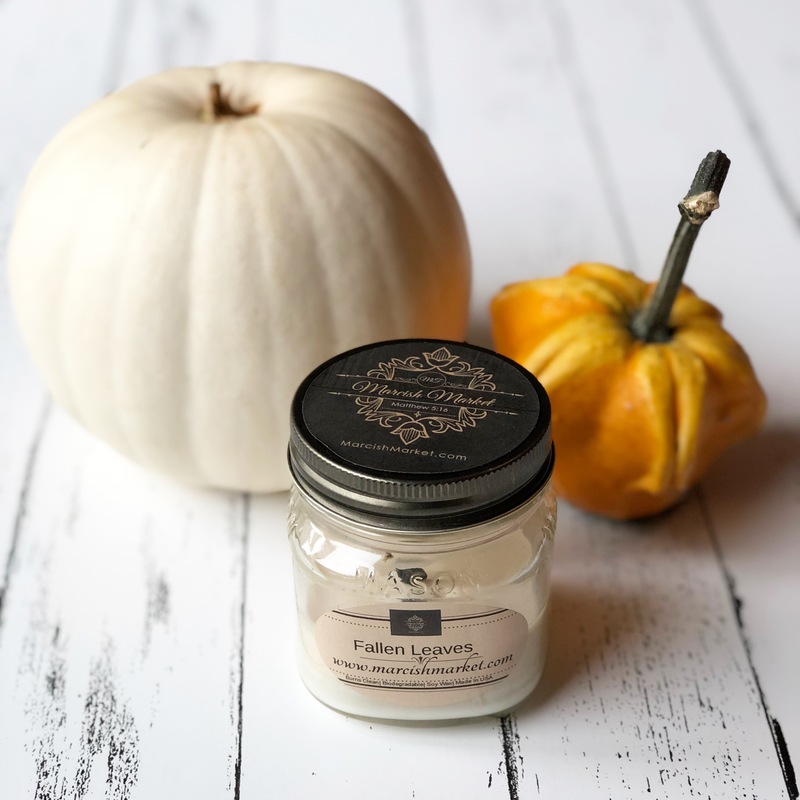 If you love fall candles, or just candles in general, run over to marcishmarket.com and snag some for yourself! I get cold very easily, and I also happen to have a strong aversion to that particular sensation. Which means if I’m sitting at home, I’m most likely curled up under a blanket. The softer and cozier the better. So I love to fill my home with them once the weather begins to cool. Cleaning the house is not exactly my favorite thing to do, but you know what makes it a bit more tolerable? Fun cleaning products! And ones that smell like fall are even better! I’m a BIG fan of Mrs. Meyers cleaning products, and I get mine at Grove Collaborative. I get a great discount on them, AND they’re delivered right to my door. What could be better?? I have yet to try a scent I didn’t like, but since this is my Fall Favorites list, I’ll tell you — they have fall scents out right now!! Pumpkin, Apple Cider, and Mum. How fun is that? Shop the Mrs. Meyer’s Fall Seasonal Scents Collection and Receive a Free Gift with your First Purchase! If you’re not already a Grove member, I would highly encourage you to check it out. It’s free to join, you’re not obligated to order every month, and you can get all your favorite natural, organic, and/or environmentally-friendly products at a great discount. And when you sign up, you can get a FREE gift set with your first order! So head over, check it out, and then get all the fun fall scents while you’re there. I hope you enjoyed my list of fall favorites. Perhaps you found something new to try for yourself! Or maybe you simply shared my joy over this fun season. 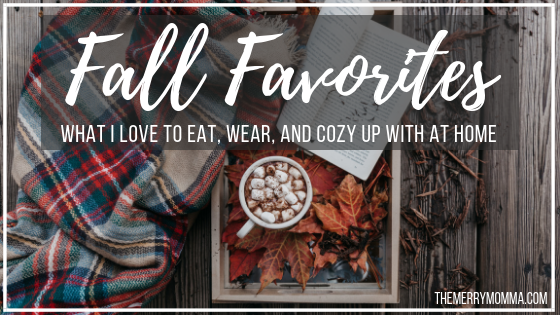 Either way, I would love it if you would share what you love about fall and some of your favorite fall things!